DJ and radio host, Amrisha, caught up with Modeselekor when the boys participated in the capital’s RBMA info session last month. How’s India been so far and what’s excited you the most? It’s our 2nd time here and it’s been amazing. A culture-clash. Everything is so different but it works. We went to Bombay recently and it’s like a mini-Tokyo but totally opposite at the same time. More extreme. A microcosm of people, animals, cars and traffic, that all hit your senses. We tour a lot. We’ve been to Africa, Asia, everywhere besides Alaska, but India is the one country that’s the biggest surprise. Has anyone excited you in the underground scene here? No, we don’t really know much, apart from what the organizers of Magnetic Fields are doing. The underground culture is small but from what we’ve seen has so much potential. Anyone making noise back in the West from here? No-one. But we met with Charanjit Singh recently…he’s very special… a traditional musician playing these ragas. His concept is a one-man band where he’s used to playing alone, before with his metal box and now with a drum machine and synths, which are transferred to his ragas. He’d never heard our music before but we still connected. Stylistically did anything excite you? Charanjit squeezed these well-known sounds out of our world into the Indian music tradition – and this we found interesting. When we met he didn’t even want to talk about the stuff we wanted to talk about, he went straight to explaining the make-up of the ragas, the Indian stanzas, the white notes and keys – so interesting. Have you used any Indian sounds in your productions? http://en.wikipedia.org/wiki/Moombahton styles. 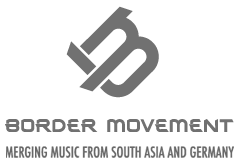 We don’t want to make a musical style around a sound from Iran, Afghanistan, India or China – we see it as just a sample where if it’s a natural fit then we’ll use it. Recently have any new world styles inspired you? We are into a lot of stuff; we aren’t focused on one particular genre, style or hype that changes over time. Most of the time it’s connected to the producer or band we are working with, but we’ve never for example had a ‘Cumbia‘ period. Speaking of Cumbia, have you heard of ZZK Records and their Digital Cumbia style… tight beats, no? Yes, they are a good project. But we don’t want to do this. We are open to inspiration but perhaps this is a different territory. 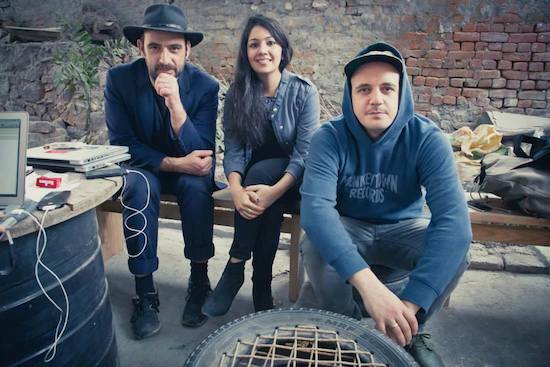 Cumbia is good though – it’s focused on beats, sound systems and bass… but it’s not varied enough for us. We might use two tracks for our DJ set and that’s it or maybe only one, but we try to bring everything together. Going back to Asia, how was the Far East? Hectic… we played Tokyo on Friday, Saturday Hong Kong, Sunday Singapore, Monday free time, Tuesday arrived in India, Wednesday Mumbai and then Delhi. First time in Hong Kong. Think on this trip we’ve seen some of the biggest cities – mad. With the different cultural styles and tastes do you adapt your sets accordingly? We never do. We are not here to please someone with music they expect because they are from a different town… we bring our stuff, that’s always been the plan. How were the different vibes touring? Great. In Mumbai we were meant to play one and half hours and instead played three and a half! We kept it open till 3am. A Berlin situation. A good reaction, good crowd, really didn’t feel like we were in India, I mean it did and it didn’t, we ourselves are still figuring out what we were doing. Are you guys still doing underground parties? Sometimes we play unannounced. We make shows in Berlin and bring a special guest. 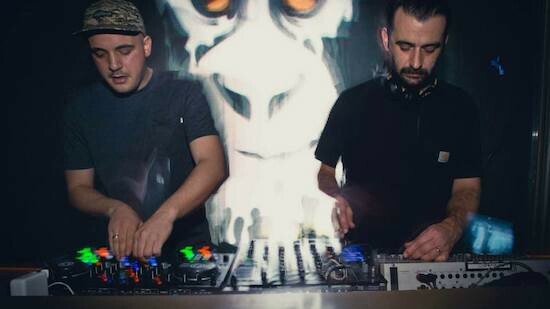 It’s a Modeselektor thing. When we play the big shows all our friends stay and always ask if there’s an after party they can go too, it’s becoming big now, has been for the past few years. But the vibe of playing in big clubs is what we are looking for, what we need, a lot of fun especially when we do a label night and invite all our friends. And festivals, they can sometimes be the best and worst… depends whose playing before and after you. Sometimes people are into the artist before, not fun, compared to fans that have come to specifically see you. Just the way it sometimes is. But there have been too many great festivals. We love MELT in Germany where in fact we curate a stage there called ‘Modeselektion’ – BBQs too! Hopefully see you guys back here? Yes, we go everywhere they tell us to. But yes… just a question of time… would love too.